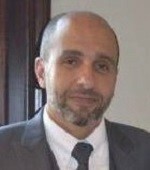 Mr. Omar Kasani, CPA, MBA serves as the Financial Controller of Family Care Inc. in Houston, Texas. Mr. Kasani is a consultant to major oil and gas companies. He serves as Member of The Board of Directors of Westchase Holding Corp. Mr. Kasani served as a Senior Auditor at Deloitte and Touche before establishing his own private practice. He also serves a broad cross section of business clients. He is licensed to practice accounting in the states of Texas, California and Virginia. Mr. Kasani is a graduate of the University of Jordan and California State University. Dr. Amr El-Bakry earned his PhD. from Rice University. He currently works as a Surveillance and Optimization Advisor at ExxonMobil Upstream Research Company. He is also the Vice President for Industry at Society of Industrial and Applied Mathematics. He is a member of The Society of Petroleum Engineers. SPE is the largest individual-member organization serving managers, engineers, scientists, and other professionals worldwide in the upstream segment of the oil and gas industry. 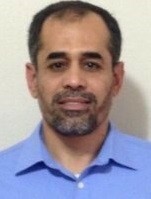 Dr. Nidal Zeidat is a Data Warehousing/ETL Tech Lead at Tata Consultancy/Boeing Defense. He obtained a PhD. in Computer Science in 2005 from the University of Houston. 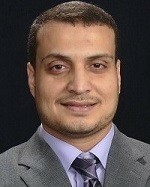 Moreover, Dr. Nidal obtained Master of Science in Electrical Engineering from University of Houston. 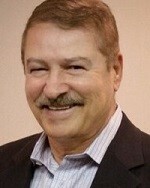 Dr. Michael M. Rabie has lived in Houston for the last 40 years. He earned his bachelor’s degree in chemistry from Stephen F. Austin University, and his Master’s degree in Business Administration from Texas Southern University, and his Doctorate degree from Colorado Technical University in Business Management. Dr. Rabie is the Chief Executive Officer of Association Healthcare Management, Inc. dba Family Care, a nationwide PPO network and a medical benefits company offering affordable healthcare programs. Family Care is doing business in 48 states, primarily through insurance agents and marketing representatives, and is one of the largest medical networks in the country. Family Care’s programs make affordable healthcare accessible to everyone. Dr. Rabie has worked as a Corporate President, Investment Banker, Stockbroker, Real Estate Broker, and Healthcare Management Executive. Dr. Rabie brings extensive Houston business contacts to the Company. He is also serving as Chairman of the Board and Chief Operating Officer for Westchase Holding Corp.
Dr. Amy Barnhill earned her Interdisciplinary Ph.D. from University of Missouri-Kansas City. Her Master’s is in Reading from University of Missouri-Kansas City, and her Bachelor is in English/Secondary Education from University of Iowa. 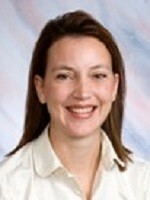 She is an Associate Professor at University of Houston Victoria, and she has published several research in education.